Two great high schools--and now a quick way to get there! It's free, quick, convenient--with no stops! No matter where your family lives in Tucson, with open enrollment your student has great school options where they can be part of a program that's a perfect fit. Sabino High School and Santa Rita High School have classes and programs that can help your child achieve their goals. Express Shuttle Service is free. 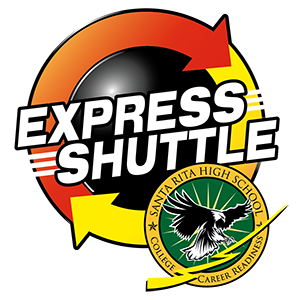 Simply get your student to one of our Express stops, and they'll be able to quickly catch an Express Shuttle to school. 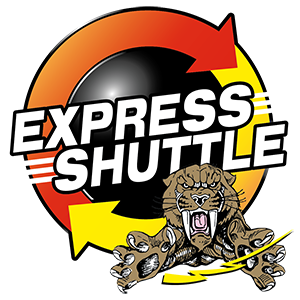 Express Shuttles are equipped with free Wi-Fi so students can use their handheld devices to make the most of their commute. Wakefield Family Center, 101 W 44th St.
Catch the Express to Sabino and Santa Rita! It's free, quick and convenient! Sabino High School teachs students how to build a strong foundation to achieve success in the future. Express shuttles are fast with no stops! Santa Rita High School focuses on preparing students for college and careers.